Social media is a driving force in internet marketing. Harnessing the potential of this lucrative medium can be tricky. Getting over the hump on your social media presence may take time, however, there are tools to help. Focusing on the right platforms is key to successful social media marketing. From an ROI perspective, definitely only spend time wherever you’re getting traction. If Twitter isn’t helping, then move on. Try giving it a shot for a few weeks to a few months at least before throwing in the towel, but there will come a point when you just know that this isn’t going anywhere and that’s when you’ll want to move on. Keep in mind that just because a social media channel didn’t work for you, doesn’t mean it won’t work for your company. The right person on the job could possibly get results that you were previously unable to achieve. And, even though no one is using Google+, there are SEO benefits to using their platform. If you use a tool like hootsuite to post to your profiles, default post the same things over to your G+ page. Again, this is for SEO purposes alone. A very common mistake we see business owners make on social media is that they are not very in tune with their social audience. This is reflected in the things they post or share, and the voice or tone of their messages. Another common mistake is the quality of posts being shared by business owners. Often as an attempt to “just get something up”, a business owner might find something semi-relevant to their industry and throw it up in a few quick minutes in order to check the item off the todo list for the day. Don’t do social media just because you’ve been told to do social media. Learn to enjoy it, practice it, spend time nurturing relationships with your followers. Social media takes time and effort, and when those two elements aren’t present, your social media efforts are likely to be short lived. Finding the time to do social media is definitely one of the biggest frustrations of most business owners. Along with time constraints, know-how for each social network is often lacking for a business owner so most of the time they spend on social media is spent learning how to use the platforms, instead of spending time on the engagement and promotion of their business. 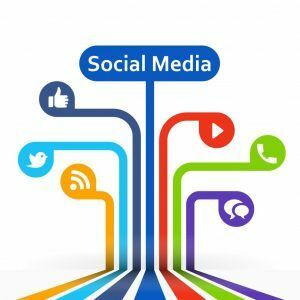 While the best social media plan is run by the business owner or someone closely tied to the company, outsourcing can be an invaluable way to accomplish social media related goals. When executed correctly, the outsourcing company will work closely with the business owner to establish the company “voice” on social media networks thereby becoming an extension of the business owner him or herself. Of course, there is a cost involved with outsourcing so that would have to be considered as well. What has led to your business’ success in social media?